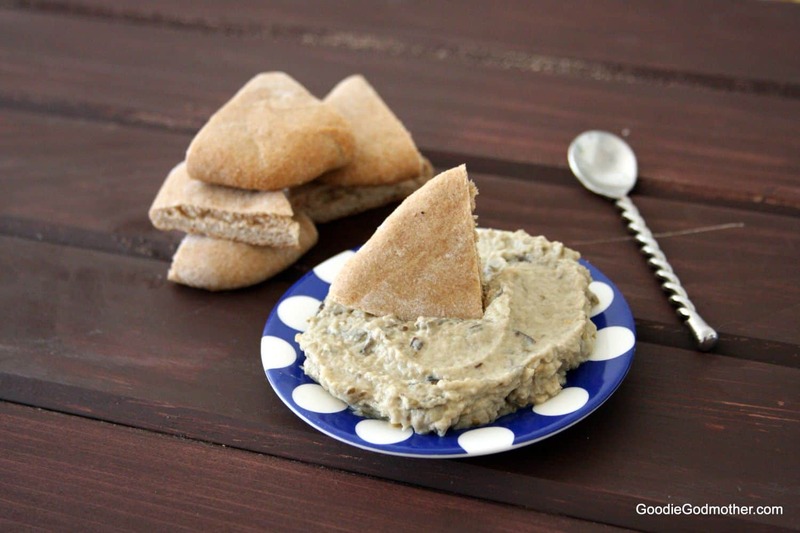 This post was updated 7/2015 as part of the #ThrowbackThursday photography project where I put better photos to already delicious recipes! Enjoy, lovelies! Hello my darlings! It’s been a while since my last post, hasn’t it? A full month according to my post log. For that I apologize! I haven’t meant to keep you waiting so long and I’m going to put the blame squarely on the Godfather (sort of). 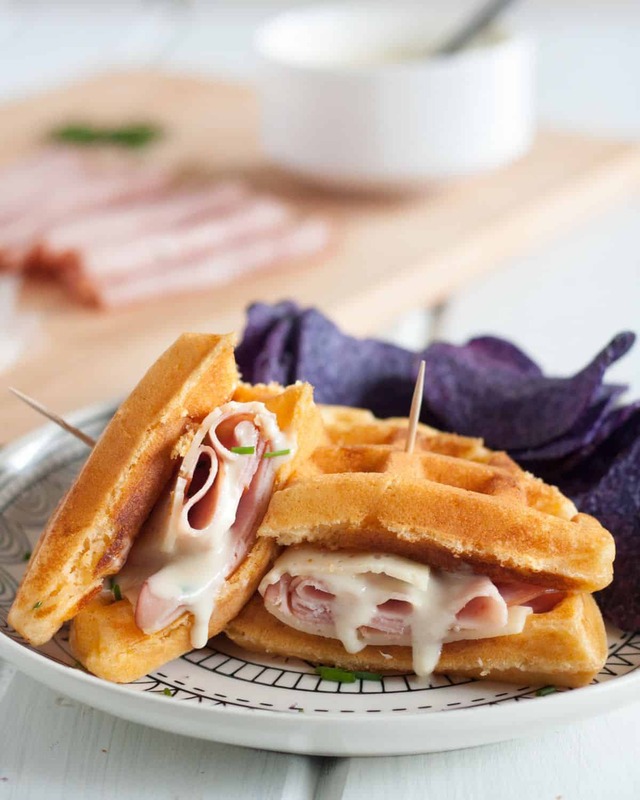 As Individual in Charge of Meat Preparation in our household, he has some fabulous recipes and I’ve been wanting to have him guest blog for you. Work has had him quite busy though and I have just not been extremely creative with our meals, or I’ve forgotten to take pictures – an unforgivable food blogging sin. I promise to make it up to you though, I have missed updating the blog! 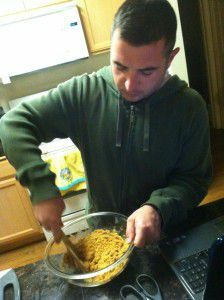 The Godfather mixing the cheesecake crust. Isn’t he wonderful? The first dessert we ever shared on our first dinner date was a slice of key lime pie. On a later date, the Godfather made a big deal about taking me to the Cheesecake Factory just to try their key lime cheesecake. Our second Valentine’s Day together, he made me dinner and baked what we call the 14-hour cheesecake. It was a key lime cheesecake, fabulous by the way, but it took him 14 hours to make it. He’ll claim interruptions like class and “Saving Private Ryan” on television, but it was still 14 hours start to finish. I have no idea how you drag out cheesecake making this long, but the results were successful. The top layer of our wedding cake was key lime cake, and we recreated it for our first anniversary. A few of the Godfather’s birthday cakes have been key lime pie or key lime cake… you get the picture. For this birthday, I decided that recreating that cheesecake would be the perfect way to celebrate since (a) helllllloooo key lime and (b) we have not found any good cheesecakes in the area period and (c) it’s been a while since the last time I made cheesecake so we were about due to enjoy some East Coast deliciousness. 1. Cheesecake should be level, not have a crust wall that is taller than the center of the cake. If you encounter such a cheesecake, you do not have New York style cheesecake. You have German style cheesecake…and you are being cheated out of perfectly good cheesecake. 2. The cheesecake crust should go up along the side, not reside solely on the bottom. If you encounter such a cheesecake, you do not have New York style cheesecake. 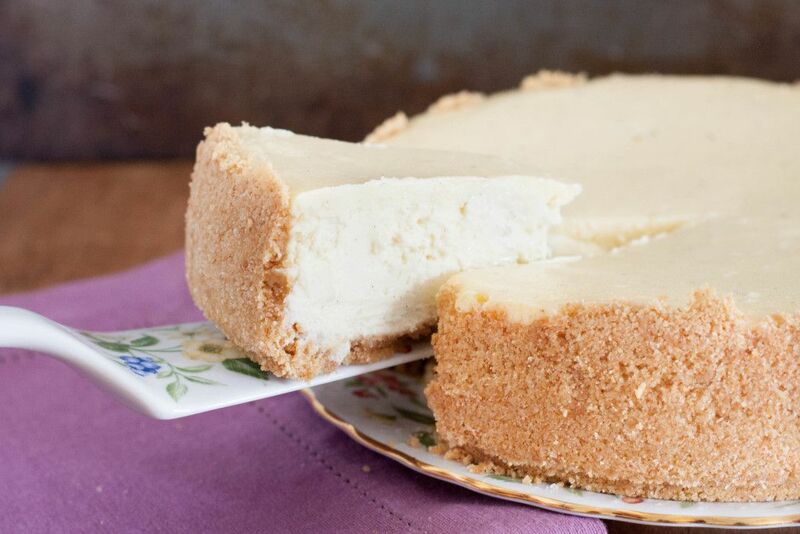 You have Pennsylvania-Dutch style cheesecake…and who doesn’t like a good crust? 3. The texture of cheesecake should be uniform. If it’s soft in the center and hard on the outside, you don’t have New York style cheesecake. You have Chicago style cheesecake…they should stick to deep-dish pizzas. 4. As far as flavor goes…there shouldn’t be too much sugar (I’m sweet enough as it is). Cheesecake should not coat your throat so that you can’t wash it down. As for density, it should be light enough for a fork to cut through, but dense enough that it doesn’t collapse when adding toppings (strawberries, pecans, etc.). 5. 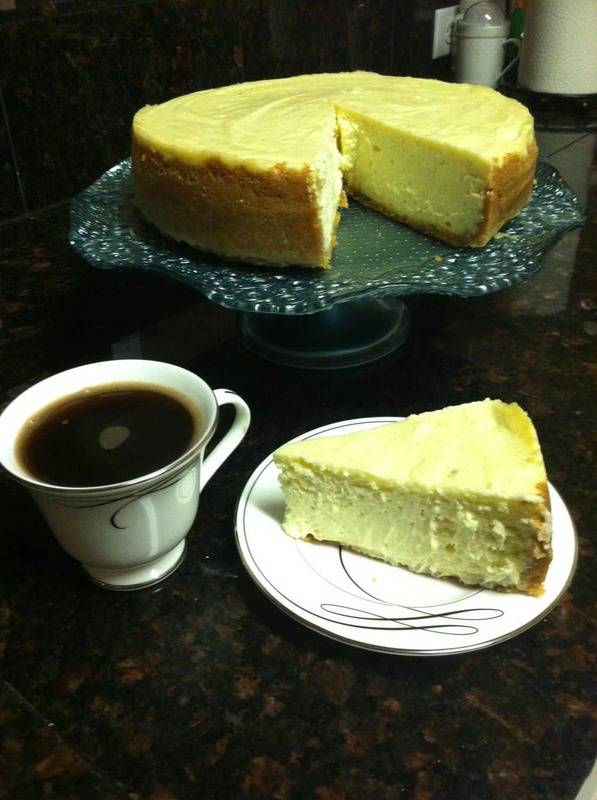 Speaking of drinks…coffee is the preferred beverage of choice with cheesecake. If you are not offered a cup with your slice, your host has no sense of hospitality. Although, should you not be a coffee drinker, any warm beverage would suffice. 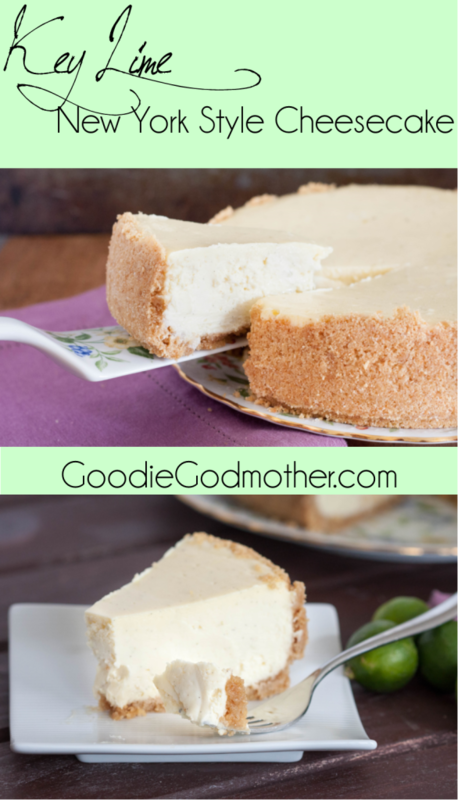 Should you like to make your own cheesecake to celebrate, I’ll even share my recipe! My birthday dinner! 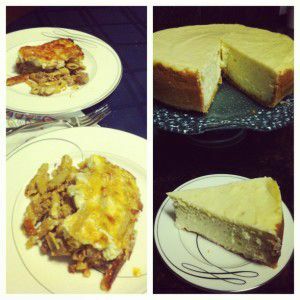 Homemade pastitsio and cheesecake! 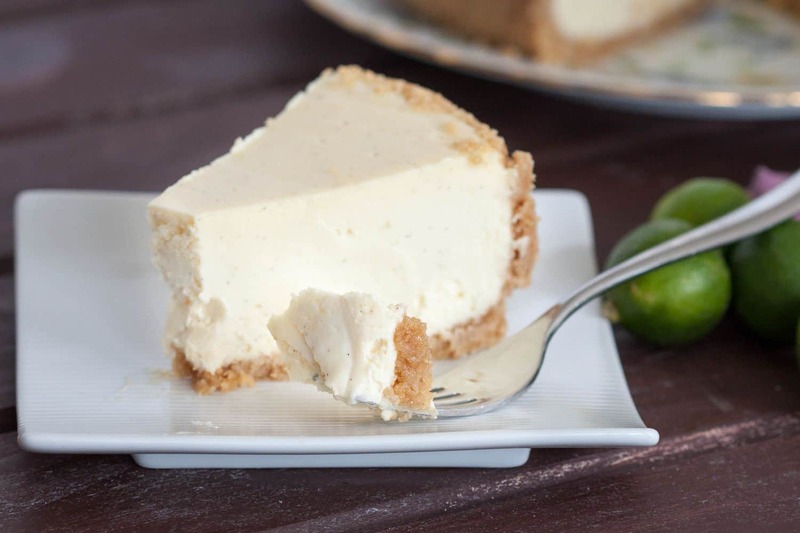 A delicious key lime new york style cheesecake. Mix the crust ingredients and press into a 9″ springform pan, going up the sides. 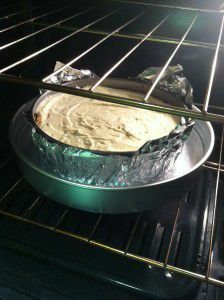 Wrap the outside of the pan with aluminum foil. Set crust aside while you make the filling. 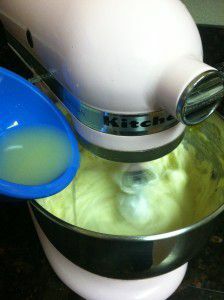 Beat the cream cheese, sugar, key lime zest, flour and vanilla bean in a stand mixer fitted with the paddle attachment. 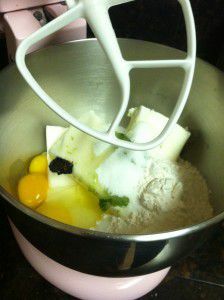 Add eggs one at a time, scraping bowl after each addition, then slowly add the lime juice and mix until smooth. 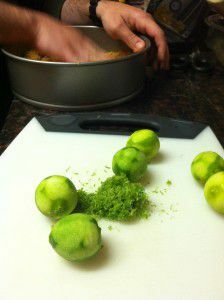 Pour the filling into the prepared pie crust and place into a water bath. Basically, fill a larger pan with water about halfway up the sides of the cheesecake pan (see why we covered the outside in aluminum?). Then, carefully place the whole thing in the oven and shut the door. Bake for 10 minutes at 425, then reduce the heat to 350 and bake an additional 30-35 minutes until the cheesecake is set but still jiggles slightly (you don’t want to over bake). Turn off the oven, crack the door open and leave the cheesecake be for 30 minutes, then remove from the water bath and place on a wire rack to cool for an additional 30, THEN place in the refrigerator to chill for at least 2 hours. You want to bring the temperature down slowly to prevent cracking on your cheesecake’s surface. Serve chilled after dinner, in the middle of the night, for breakfast… whatever. Enjoy! 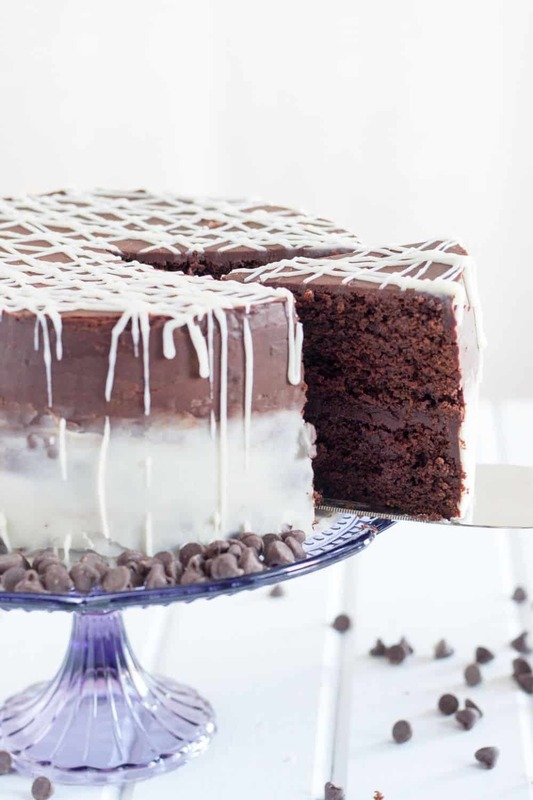 Hi, can I make this crustless?I would like to put as a layer with cake. Wow! This looks wonderful! Key lime is one of my faves! 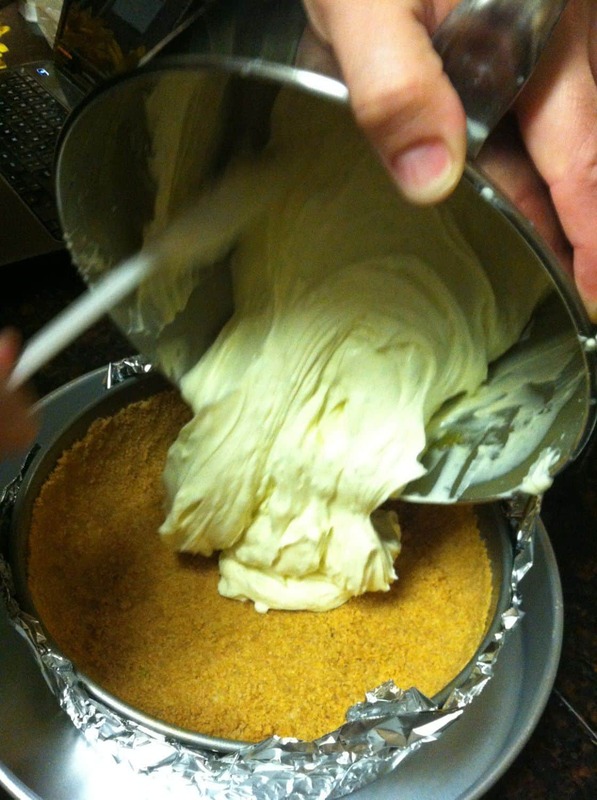 That looks delicious 🙂 <3 Key Lime Pie!